I love jalapeno poppers, and even more if they have bacon. 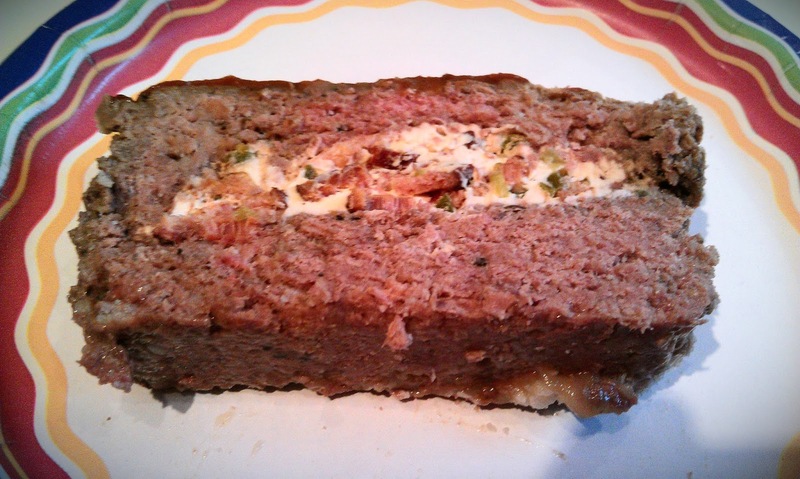 When the weather started to turn cold, it totally made sense to make meatloaf, and stuff it with my very favorite flavors of bacon, jalapeno and cheese. This couldn't be simpler, and it made excellent leftover meatloaf sandwiches the next day. I know you're jealous, aren't you ? Preheat oven to 375. In a large bowl, mix together panko bread crumbs and milk. Let the milk absorb completely, then add ground beef, eggs, steak seasoning, Worcestershire sauce and eggs. Mix well and set aside. In a separate bowl, combine cream cheese, jalapeno peppers and bacon. Using a 9 by 5 loaf pan, press half of the meat mixture into the bottom. Spread cream cheese mixture over the top, then press remaining meat mixture over the top of this. Spread ketchup over the top of this. Cover with foil, and bake 1 hour. Remove foil, and bake an addition half hour to 45 minutes until top is brown and meat reaches an internal temperature of 175 degrees. Remove from oven, and let rest for 10 minutes before cutting and serving. I didn't take a photo of this soup, because I didn't make it to eat. Well, not yet, anyway. I woke up early on Saturday, and needed to get this soup cooked and ready for the freezer, so I could have dinners and lunches ready for the coming week, and some for the weeks ahead. Potato leek is one of my all time favorite soups. I never really had this when I was growing up. 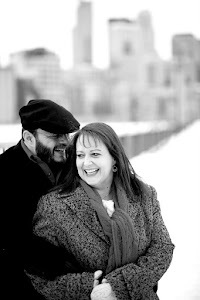 We had potato soup, for sure, but it was the chunky, super creamy kind, very rich and hearty. That is not this soup. This one is very smooth and delicate, and also very simple to make. I was lucky enough to get both potatoes and leeks in my last CSA box, so it was a perfect time of year to break out this recipe. You can leave out the cream cheese and make the entire soup dairy free as well, it will be plenty creamy as is. Slice entire leek thinly, and rinse well in water, to remove any grit or dirt. Pat dry on paper towels. In a large Dutch oven, melt butter and sauté leeks until tender. Add potatoes and stock, and simmer until potatoes are tender, approximately 30 minutes. In small batches, puree soup and cream cheese in blender until smooth. Pour back into pan, and add lemon juice, salt, pepper and nutmeg. Simmer an additional 10 minutes, adjusting seasoning as needed. Garnish as desired. The traditional smoked salmon there is my favorite, so we buy some for snacking, and some for cooking as well. 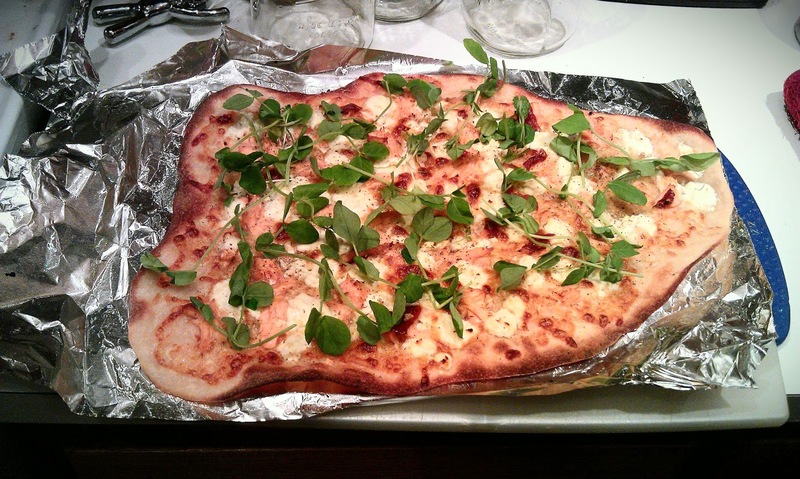 I was thinking about a take on lox and bagels for this pizza, and wanted to top it with some of the very cute pea shoot and microgreen mix we received from Bossy Acres. 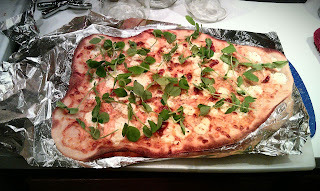 This was so easy to put together, as I had a pizza crust I had frozen from my last batch all ready to go. A little topping of pickled onions and sour cream was the perfect accompaniment. Preheat oven to 500. Roll out crust on foil or parchment paper. Spread olive oil and garlic on the crust. Top with mozzarella, then salmon and goat cheese. Bake for 10-15 minutes until crust is golden brown and cheese is bubbly. Remove from oven, and let rest for 2-3 minutes. Top with greens and drizzle with sauce.